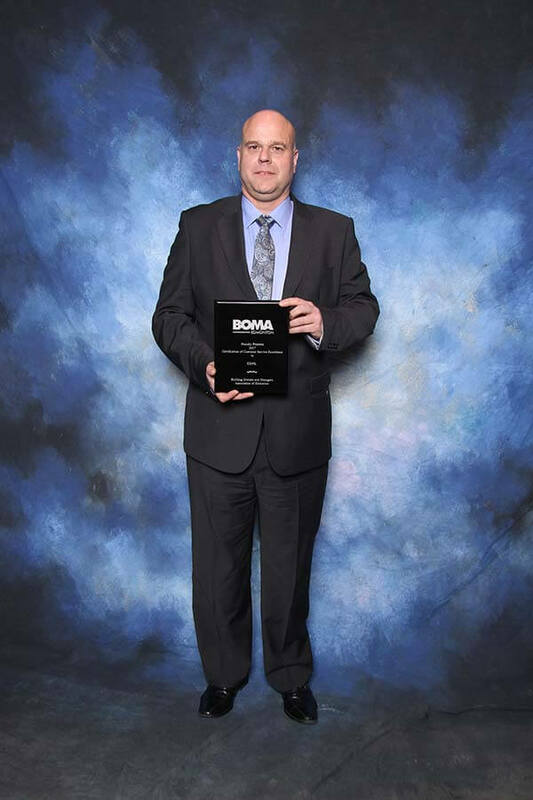 CDML are delighted to announce that at the recent BOMA Awards Gala held in Edmonton, AB, we were recipients of awards in the following two categories; The Certificate for Customer Excellence, and for the second time in three years the Pinnacle Award for Innovation for our dynamic equipment tagging system AiTag. CDML Managing Director David Green was quoted as saying “It made me very proud to accept these awards on behalf of everyone at CDML, to be recognised by your peers is an amazing achievement. The Customer Service Award is a testimony to our company ethos that a “Happy Client is a Repeat Client”. 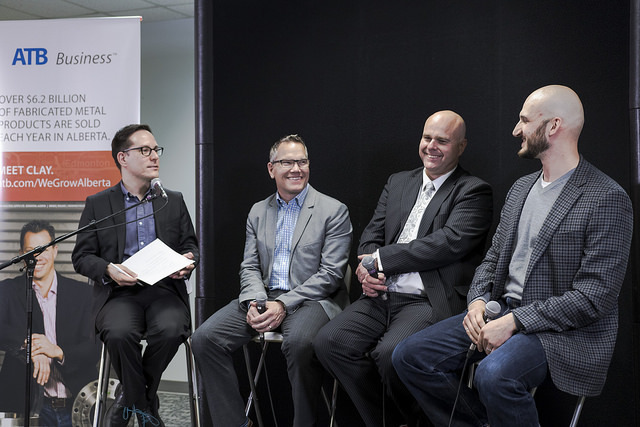 The Innovation Award makes me realize that within Canada we truly are innovators and thought leaders when it comes to both building commissioning and digital handover tools”. The Building Owners and Managers Association (BOMA International) was founded in 1907 and is a professional organization for commercial real estate professionals based in the United States and Canada. Its membership includes building owners, managers, developers, leasing professionals, corporate facility managers, asset managers, and the providers of the products and services needed to operate commercial properties. 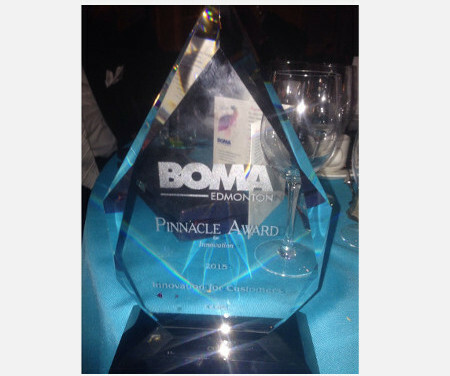 BOMA Edmonton was formed in 1967 and joined the International association (then known as “National”) in June 1968. 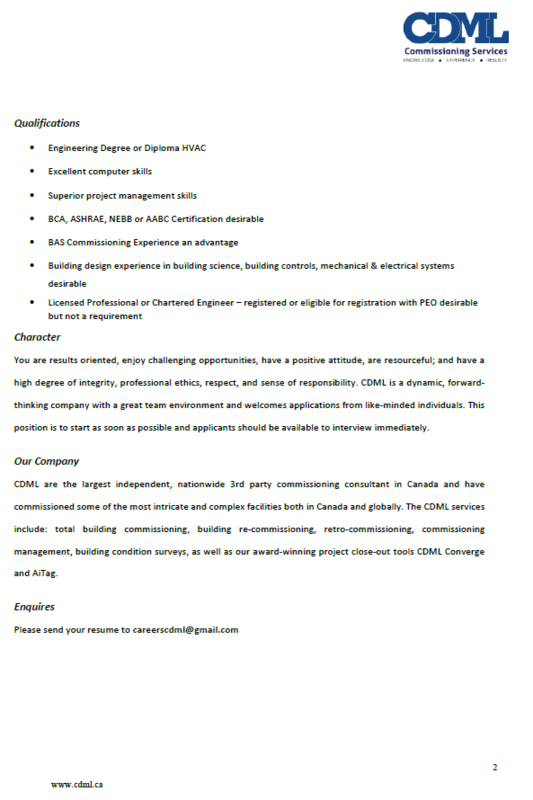 Established in 2008 CDML are Canada’s largest independent nationwide commissioning consultant, with offices in Toronto, Ontario and Edmonton, Alberta. 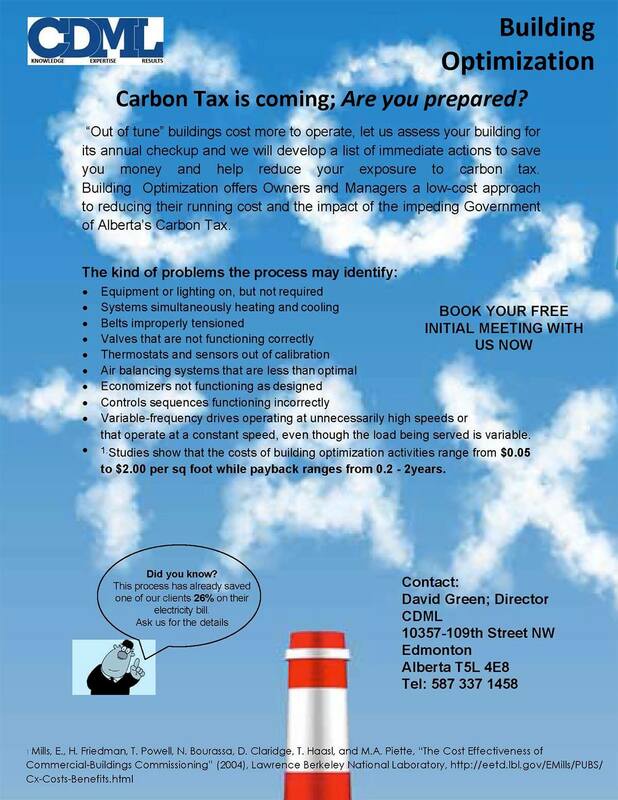 CDML’s service offerings include building commissioning, commissioning management, retro-commissioning, Converge Canada’s only digital O & M Manual and AiTag the dynamic equipment tagging system. CDML are delighted to announce that as of August 2016 we are now NEBB Certified for Building Systems Commissioning – HVAC. NEBB are renowned Globally for being the foremost provider of education and certification within the Commissioning and Testing Adjusting and Balancing (TAB) industries. CDML Director Mark Boswell was quoted as saying “This is a major milestone achieved in CDML’s ongoing commitment to offer our current and future clients the highest level of Commissioning services possible. Through our continued education and certification with NEBB we are now positioned as the first single service Commissioning Consultancy in Canada to offer NEBB certified commissioning”. Established in 1971, the National Environmental Balancing Bureau (NEBB) is the premier international association of Certified Firms that perform Building Systems Commissioning, Building Enclosure Testing, Cleanroom Performance Testing, Fume Hood Testing, Retro-Commissioning, Sound and/or Vibration Measurement, and Testing, Adjusting, and Balancing of HVAC systems. 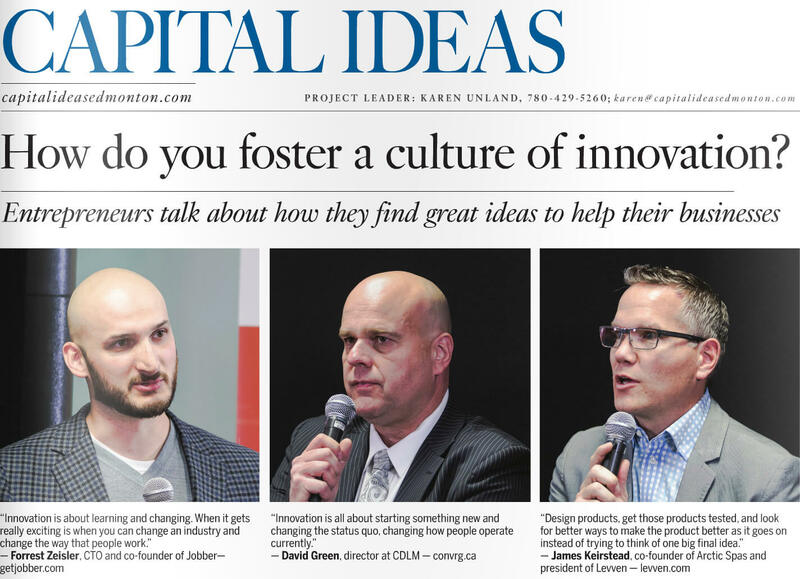 On June 17, 2015, we welcomed James Keirstead of Levven, Dave Green of CDML and Forrest Zeisler of Jobber to the Capital Ideas Edmonton stage to talk innovation. 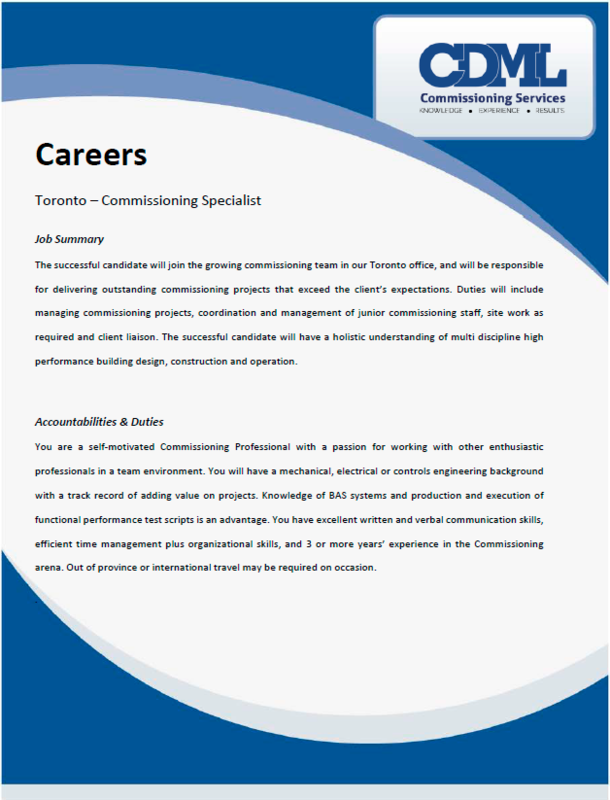 Be sure to visit the Commissioning Services pages to find out more about our offerings! 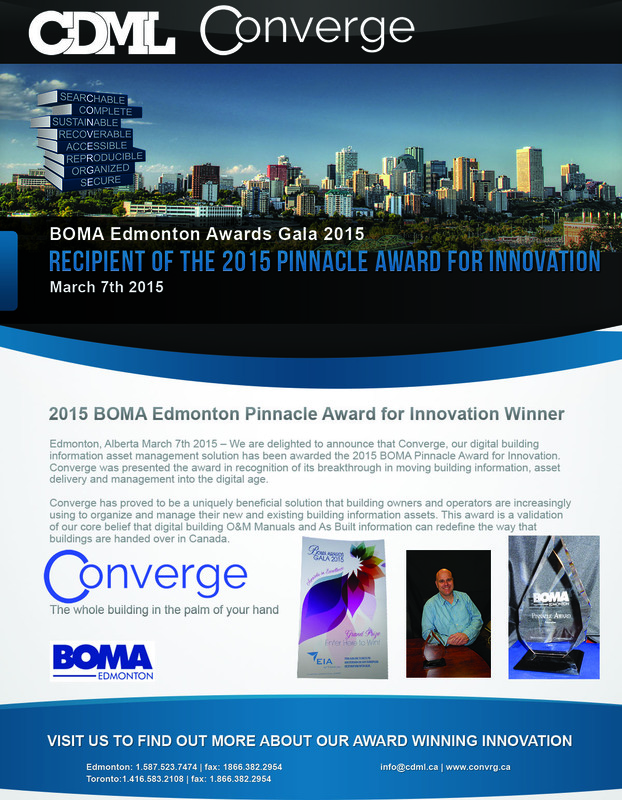 This Saturday night Converge picked up the Pinnacle Award for Innovation from BOMA Edmonton. CDML Director, David Green, was on-hand to accept the award! Five minute clip, the rapid-fire presentation at BIM Canada conference. Be sure to visit the Technology Services pages to find out more about our offerings! 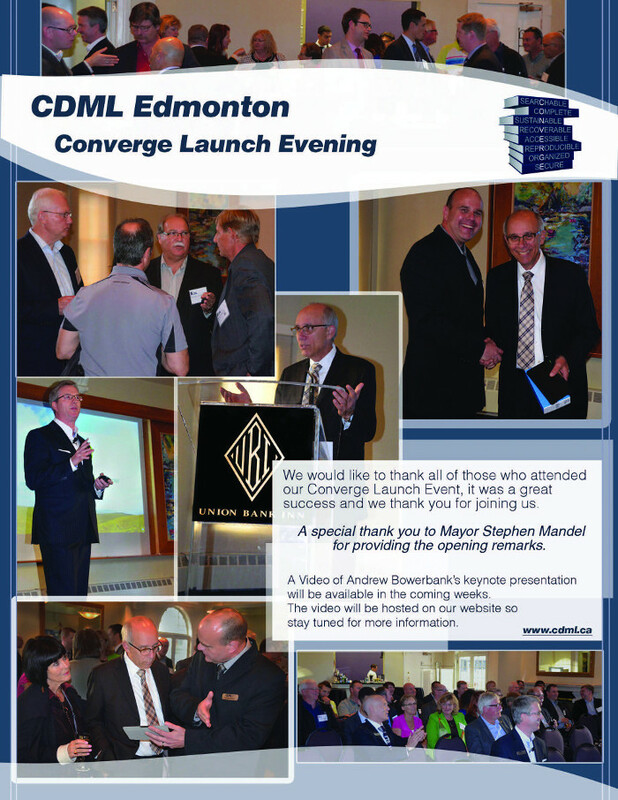 Check out our Edmonton Converge Launch Event Newsletter. The evening was a huge success and we would like to thank you for being apart of it! Due to client demand for properly produced video training, Converge are now offering choreographed recording of contractor and vendor training. We’ve called it Dynamic Video Training to highlight the flexibility in re-training new staff on the fly. The value of training videos to help building managers train facilities staff is obvious, but all too often they are done poorly. Since Converge Digital Building Manuals have solved the issue of training videos being easily accessible and even searchable on any computer or smart device, our clients have started to utilize them. Many original training sessions were poorly planned, not professionally filmed or edited and so we now offer re-training with our own qualified experts on projects that are too long after hand-over. On new projects we engage contractors from the project to deliver concise, professional results that are focused strictly on operation and maintenance. 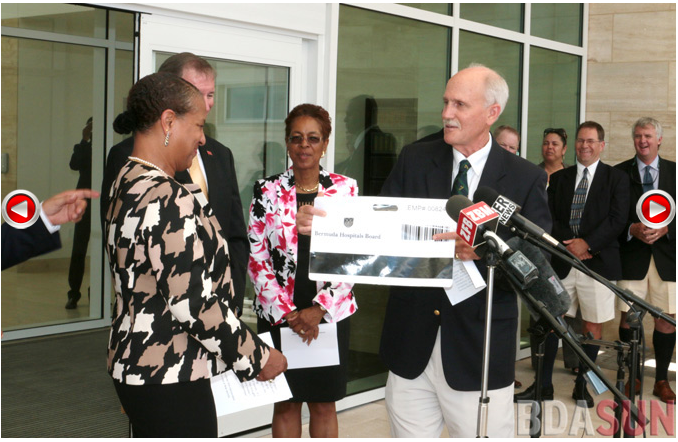 Bermuda’s King Edward Memorial Hospital reached substantial completion yesterday June 12th. The handover ceremony was well attended as Bermuda is looking forward to accepting their new state of the art healthcare facility. Stay tuned for more pictures. Digital Building Manuals are easy! Digital building operation and maintenance manuals are easy, they are just a bunch of files on CDs! – Right? This is what we hear and see delivered on many projects. However, owners and end users want more than ‘a bunch of CDs’, especially in an age where smart phones and tablet devices are everywhere. Owners want smart, searchable multimedia O&M manuals that can be used with all their computers and mobile devices. That is exactly what Converge™ delivers. 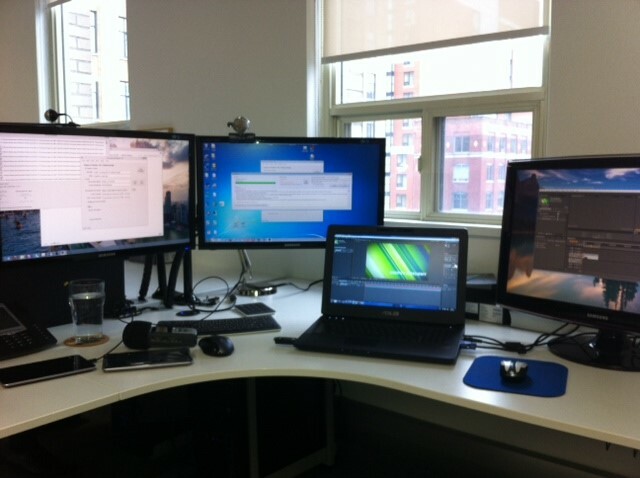 The technology to build a Converge™ digital O&M manual can sometimes take over our entire workspace. Converge™ is high tech to build but easy for end users to use, so YES, Digital Buildings Manuals are easy; easy to use!